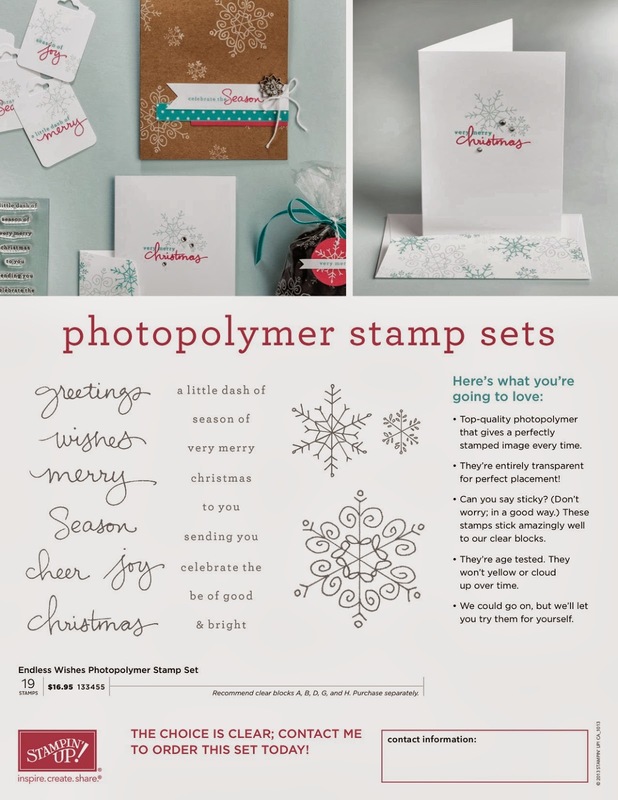 I'm so excited by the new Photopolymer set Endless Wishes. The one thing I've found with many of our holiday sets is that the greetings and sentiments don't really convey what I want to say; but, that stops now. Endless Wishes has every holiday sentiment I could possibly imagine for my cards, tags, bags and more. For only $16.95 you get 19 pieces to create the perfect greeting, thought or sentiment for your paper crafting projects. To place your order, simply send me an email, call me at 289-280-0304 or shop my online store 24/7! Join Stampin' Up! for only $25!